If you are living in NYC you are probably living in a small apartment. Ever since micro apartments and convertibles were invented, people are living in smaller and smaller living spaces. Well, that doesn’t necessarily have to be a bad thing. Out household appliances have progressed so that they take up much less room than before. Leaving more room for you to enjoy your apartment. But, even with smaller appliances, you might find yourself needing a bit more space. Well, here are some guidelines for making your home appear larger without having to increase its actual size. What people usually don’t realize is that all of our senses interpret if the space that we are in is large. It is our eyes, of course, that do most of the work, but you shouldn’t ignore other, less obvious ones. For instance, if the room has an echo we will perceive it as large. Furthermore, if a room smells fresh we will also perceive it as large. The reason is simple. Our senses we made to interpret our environment and connect patterns. In this case, the echo means that there is enough room for the sound to go around and bounce back with a delay. The fresh smell means that the air is not stuffy but clean, which is associated with open air. Keep this in mind when remodeling your home. Colors of the wall will impact how you interpret the size of the room you are in. If the colors are warm and cozy you will interpret the room as smaller. On the other hand, if the colors are colder and lighter you will interpret the room as being large. So, when making your home appear larger, you should look into changing the colors of your walls. Not all rooms need to paint in colder, lighter colors. Just the ones that you spend your day in like living rooms and hallways. Light also plays a big role in how we perceive space. The more light sources there are the bigger we think the room is. Reason for this is simple. The bigger the room is, the more different light sources it needs to be completely covered in light. Luckily this works in reverse, even if it is not logically true. On our subconscious level, our brains are more likely to follow habit than to follow laws of logic. That is why optical illusions work, even if we know that they are illusions. And, that is why multiple lights will make your home look larger. Multiple light sources do wonders in making your home appear larger. Small rugs make rooms look bigger. This is, again, some intuitive comparison at work. Our brains will see that the rug is not covering the whole room, but they do not know how big the rug precisely is. One rug is better as multiple rugs can make a room feel small. It will look as if the room is clutter with rugs and therefore smaller. 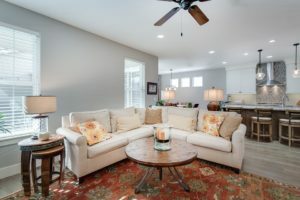 Place a light, decently sized rug in the middle of your room with at 12 inches between it and the walls and you will make your room feel much larger. A nice rug help gives the room some perspective. Even the biggest warehouse in the world will look small if you scatter enough items around it. The bigger the clutter the smaller the room. The same principle applies to your home. 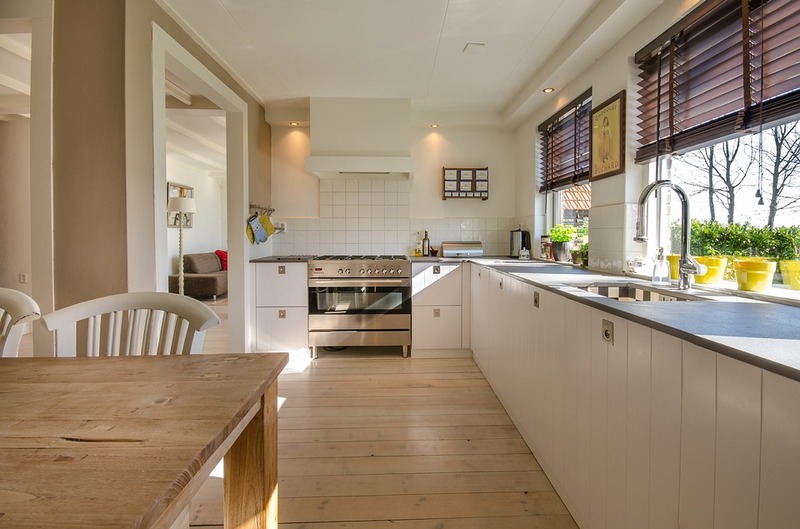 Therefore in order to make your home appear larger, you need to declutter your home. There is simply no way around this. Now we are not saying that you shouldn’t incorporate art into your home. But, most of the people reading this article live in cluttered homes, and some decluttering is the first step they need to take in making your home appear larger. When it comes to decluttering there is only one rule you need to follow. And that is that if you are not sure whether you need something, you don’t need it. Everything that you need you will realize that you need. Those will be the items that you use on an everyday basis or they will be items that you use in different seasons (winter, summer, etc.) For them, you can resort to using plastic bins and safely storing them. Apart from that, everything else can be considered clutter. This rule should be used to help you make decisions when sorting. Most people are reluctant to get rid of needless items. Therefore they cling to them for year and years. Do yourself a favor and minimize your apartment. Not only will you do wonders in making your home appear larger, but you make your surroundings much healthier. 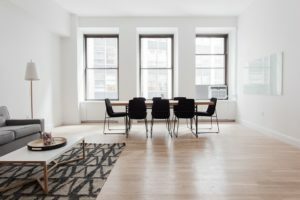 A decluttered home always looks much larger than a cluttered one. 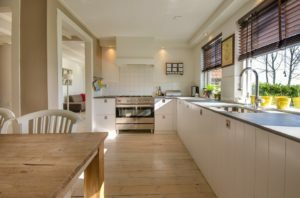 What to do with your items after you declutter your home is the toughest problem to solve when it comes to making your home appear larger. Luckily, there is an easy solution. Simply get rent some storage units NYC and safely store your possessions. There are things that you don’t need anymore which you can simply donate or sell. But, there are bound to be certain items that which you would like to keep but have no room to do so in your home. For those items, storage is the best solution, without a doubt. Get in contact with a reliable storage company and make a storage plan that will suit your best. Figuring out how to make your home look large and beautiful is no easy matter. There are a lot of factors that not only influence the way in which you perceive your home but even influence each other. Therefore, you might want to hire a professional to help you out. 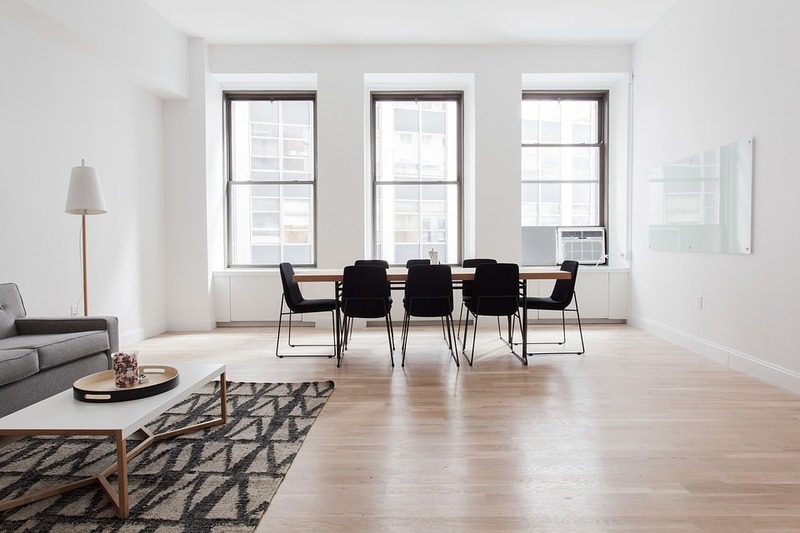 An interior designer will give you valuable guidelines suited for just your apartment that will tremendously help in making your home appear larger. Even if you have a good eye for this, you might talk to a professional just in case. Especially if you are selling your home.